SellingRestaurants presents this family style restaurant nestled in one of Ventura's great communities with a type 47 hard liquor license. Tucked into the middle of this beautiful neighborhood this restaurant shines out as the premier destination for Breakfast, Lunch and Dinner. The sale volume is high and we have sales tax returns to prove the numbers. So based on the monthly sale volume of approximately $77,870 this restaurant should be able to make a good profit for a knowledgeable operator. Current Owners have never been in restaurant business and have found themselves overwhelmed by trying to operate the business. Though they have been very successful in their marketing efforts and other business endeavors, they find themselves out of their expertise and have over hired management that haven't been as proven operators as represented, and to spite themselves the sales volume is fantasitic! Food and labor costs, for example are each runing 50% indicating poor food management as well as labor management. An Experienced Working operator will be able to bring costs into line and at current sales should see a 6 figure income very quickly. Current owners do not work the business but only oversee operation and have left most of the operation to the "experts" they have hired. With all of this Sales have still continued to climb since their take over of the business as they have done some very good marketing of the restaurant. Sales of the restaurant when they bought it in 2013 were at $58,000 per month and at todays sales of $77,870 which is a 34% sales increase, so you can see the sales are strong and continue to grow month by month. This family restaurant is well known in the community as the place to bring the family in for breakfast, go to for a tasty salad or sandwich for lunch or a nice hearty meal for dinner. The Burgers are to die for and the Entree are of the finest in area. There is a bar area with big screen TV's to watch the days sporting events and relax with your favorite cocktail or beer and tasty appetizer. They have trivia night in the bar that has grow to one of the top locations in the country. Owners have made many upgrades to the business upon taking over with new dinning room tables and chairs, new deco, addition of more TV's in bar area, adding outdoor dinning and much more. New easy to use POS System has been added as well. SO Much $$$ was put into these upgrades that buyer will benefit from. Owners are looking to return to their field of expertise and are offering this restaurant at great loss to a qualified operator. 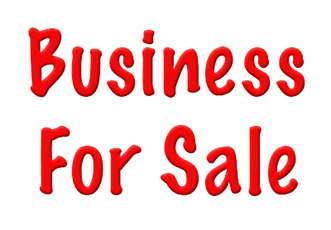 Buyer will need to show good experience in the restaurant business and plenty of cash and have strong financials as the landlord will require this. DON'T wait as this kind of opportunity in such a beautiful area in Ventura County does not come along everyday. Go to SellingRestaurants.com to get the name and address of this restaurant.